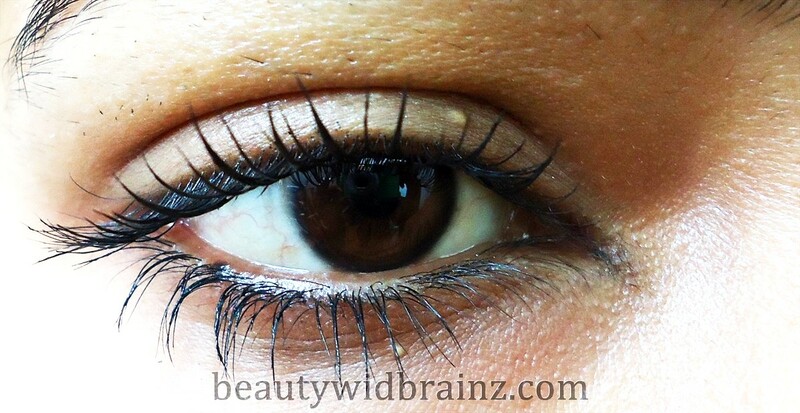 Home / REVIEWS / BRANDS / Lakme Eyeconic Mascara : Review & swatches. Since I have started this blog and exploring beauty products, all of a sudden everyone seems to gift me Cosmetics. I think I should have started this a little earlier. 😉 I received TONS of beauty products on my birthday and Lakme Eyeconic Kajal ( Review here ) and Mascara are among st them. 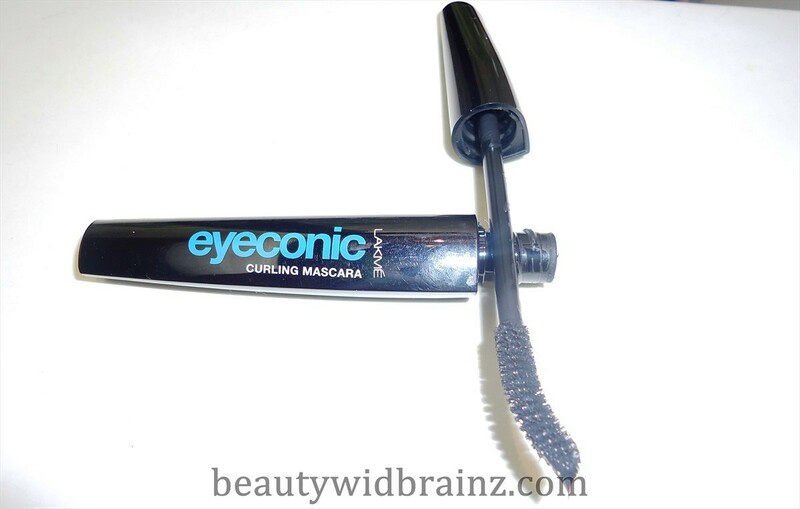 I have recently started to use the Eyeconic Mascara and here is what I think about it. Lakme Eyeconic Mascara gives your eyes an intense black,gorgeous finish making them the focal point. This mascara comes with a curling brush that gives curves to your lashes, making the eyes even more highlighted and noticeable. Get a fabulous look in just a few seconds. Lakme Eyeconic Mascara adds a sparkle to your eyes giving them a glittery, shiny touch.It is easy to apply. 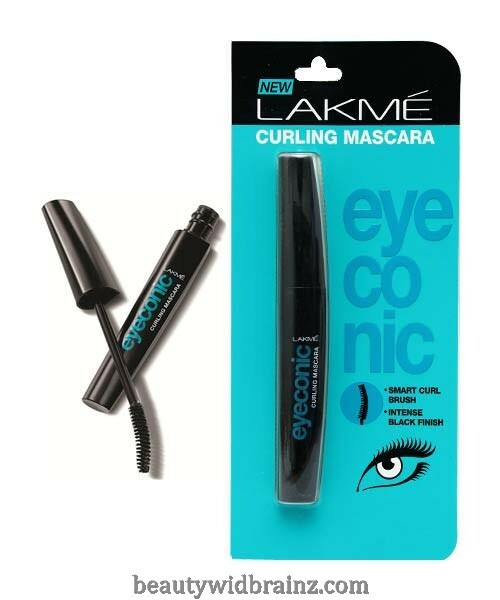 Lakme Eyeconic Mascara is the perfect solution to get that perfect entire look. It also contains D-Panthenol which is a moisturizer which helps keep your lashes smooth and soft. I share a special bond with Lakme products. It always delivers value for money with quality products. I was thrilled when I received Lakme products as a gift. The Lakme Eyeconic Mascara and Kajal are from the new collection and I am already in love with them. I adore the super sleek, black and curvy packaging which promises to give you the curves you always wanted. The wand is a little big for me as I am a bit clumsy at times but once you get used to it, it’s just fine. 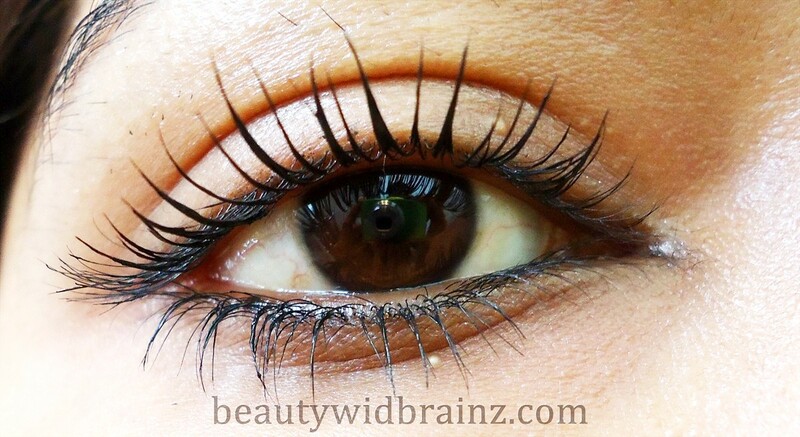 I also loved what it did to my lashes with just a single coat. It is water proof as I have noticed but nothing of that sort is mentioned on the package. It also takes a while to dry so you’ll have to be careful on that bit. Overall, I think Lakme has again delivered what they have promised. Have you tried the Lakme Eyeconic Mascara yet ? Previous My 1st Award !